Make this summer all about you! SelfieMadeSummer is all about capturing the memories you create with your family. Show us where you leave your tracks in Kansas City, KS this summer by snapping selfies of the most exciting and memorable moments of your time spent here. Join in on the virtual photo album and see other’s adventures in Kansas City, KS by using #KCKselfie in all of your photos. With tons of drool-worthy dishes, unique memorials and historical sites, and jaw-dropping attractions, Kansas City, KS is filled with memory-making experiences you’ll want to share. Download & Print the Selfie-Made Summer list here. Give us your best, “All aboard!” selfie in a conductor hat at Fritz’s Railroad Restaurant. Share how your family does a movie night under the stars at Boulevard Drive-In Theatre. Show us the face you make when you win big at Dave & Buster’s Kansas City! Pinkies up! Take a selfie while wine tasting at Rowe Ridge Vineyard & Winery and Wine Barn Winery & Vineyard. Sneak a kiss and snap a selfie in front of the largest structural fountain in Kansas City at Chateau Avalon Resort & Spa. Spice up the evening! Take a selfie sharing some Cajun food and listening to live music at Jazz, a Louisiana Kitchen. Explore the culture of the different ethnic groups that make up Kansas City, KS at the Downtown Kansas City, KS Avenue of Murals. Take a selfie in front of the mural that inspires you most! 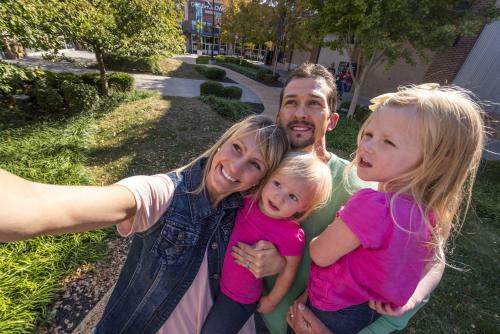 Snap a selfie of yourself immersed in the history of Kansas City, KS in its truest form. Grinter Place Historic Site, Old Quindaro Museum and Strawberry Hill Ethnic Museum & Cultural Center are all homes turned museums where you can learn about the residents who once lived there. Is that cilantro in your teeth? Unleash the foodie in you and have a selfie photoshoot of you chowing down on some authentic street tacos at one of the many taquerias (like El Bonito Michoacan and El Camino Real) in downtown Kansas City, KS. Take a selfie on top of the ferris wheel at Wyandotte County Fair, July 12th-16th. Snap a selfie rocking out at BuzzBeach Ball 2016 at Children’s Mercy Park, July 16th-17th, or any of the outdoor concerts at Providence Medical Center Amphitheatre. Grab your friends and take a wine-sipping group selfie at Village West Wine Fest, September 17th. 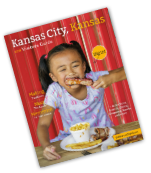 Each photo tagged will give you a chance to win a Kansas City, KS Swag Bag filled with goodies from our attractions: Schlitterbahn Kansas City Waterpark tickets, $50 Legends Outlets Kansas City gift card, swag wear and more. Valued more than $300.00. 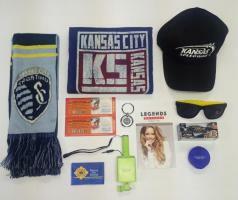 Win A Kansas City, Kansas Swag Bag! **Every selfie tagged with our #KCKselfie hashtag is automatically entered into a drawing to win one of five Kansas City, KS Swag Bags. One winner will be chosen every month starting May through September. Each photo tagged is an entry. 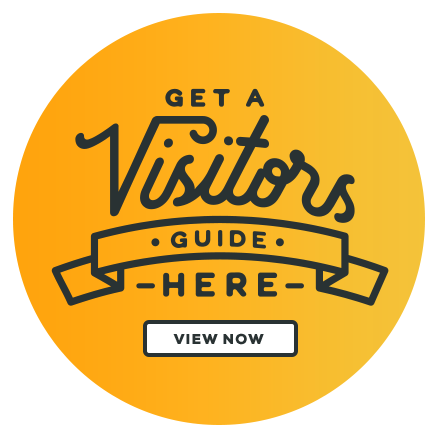 Visitors may submit multiple photos.